The internet is abuzz with the images of Pope Francis making an impromptu visit to a refugee camp while he was en route to visit a local parish, St. Michael the Archangel in Pietralata. Watch the video here. Here’s another copy of the video, without the English getting in the way. UPDATE: See that priest leading the Pope into the camp? More about him later. That’s the basic scenario, and that’s the challenge the Pope’s action places before us, especially those ordained to serve. 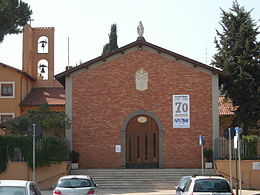 Here’s the parish the Pope was heading for when he took his pastoral detour. 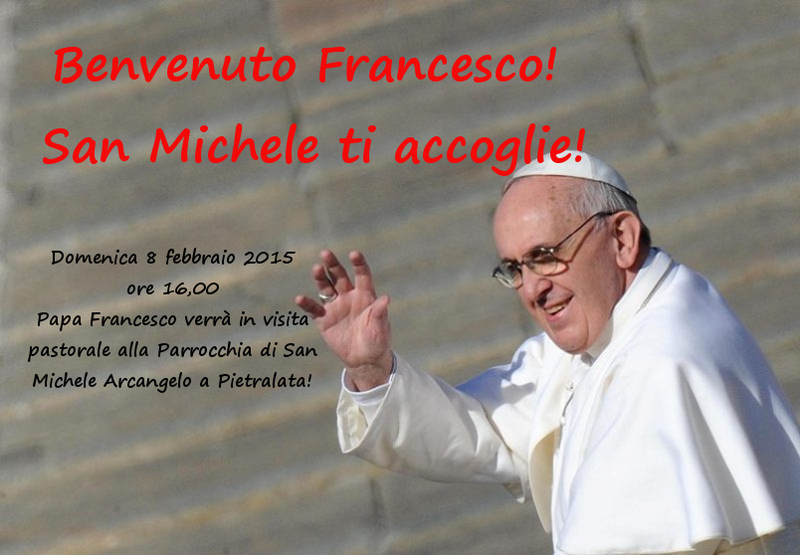 Imagine the excitement of the parishioners: the Pope is coming! Here’s the picture they had on their website. The pastor of St. Michael’s is Monsignor Aristide Sana, who was ordained on 18 March 1965 in St. John XXIII’s home diocese of Bergamo. Now a priest of the Diocese of Rome, he’s been the pastor of this parish since 1998. From what I can find, there are three other priests assigned, but I didn’t notice any deacons. I keep imagining a conversation between Pope Francis and Monsignor Sana: “So, I just stopped at the refugee camp on the way here. Nice people! What are you guys doing to help?” Actually, I can only imagine the Pope’s question; we can leave the response to our own consciences. UPDATE: Here’s a new video clip from the Pope’s visit to St. Michael the Archangel. He is teaching a religious education class to the kids; they all (including the Pope) seem very excited! Also, if you look closely, the priest near the Holy Father looks like the same man who was with the Pope at the refugee camp. I wonder if that is Monsignor Sana, the pastor of the parish? If the pope was coming to visit OUR parishes, where would he choose to stop while en route? Imagine the pope asking those kind of questions of US! What are the “refugee camps” right in our own back yards? Where are the “margins” within our own communities? And, knowing that, where are WE? Every so often I receive an e-mail that will say “So-and-so is now following your blog,” and I will feel guilty for not doing more on the blog. Despite every good intention to do so, other things far more important than my essays in the blogosphere — family, work, and ministry — quickly take precedence. Still, here I am, tapping away, and hoping that I can return to blogging with some regularity. A major event in the life of our family happened just before Christmas. On 21 December, our beloved mother, Kathleen Powers Ditewig, passed into eternal life at the age of 90. Her instructions to us were simple and direct: she wanted “no fuss” and no big visitation, wake, or funeral. She had made all her own arrangements and we respected them. My two sisters and I decided, however, that nothing in our promises to her prevented us from planning a big family gathering at some point in the future at which we would celebrate her life in proper style! So, Mom, get ready for that! You knew we’d be doing it all along. Life here without you is a sadder place for us, but faith leads to the realization that you and Dad are together again, freed from earthly care. Love you and miss you both! To so many of you readers who sent along expressions of prayer and condolences, our deepest appreciation. Since then, of course, we’ve been dealing with multiple projects and ministries within the Diocese as well as the beginning of a new academic term and assorted health issues. But, praise God, eternal and temporal life goes on! So, “watch this space,” as the construction signs always command, for upcoming essays. Here is the link to the online version of an interview I gave to the editors of U. S. Catholic on the diaconate. I hope it is useful. The great God-googler, Mike Hayes over at BustedHalo.com, has put together a wonderful list of New Year’s Resolutions based on the teaching and example of Pope Francis. Do yourself a treat, if you haven’t already, and go read the whole list here. So, I hope that Mike won’t mind if I do a riff from his list, with particular emphasis on how we Catholics “live” on the internet these days. The National Catholic Reporter, for example, as well as many bloggers and others, have decided to disable comments on their websites because the language used in responses crosses the line of courteous, let alone CHRISTIAN, discourse. With a profound nod to Mike, therefore, I’d like to reflect on his seven resolutions as they might apply to internet courtesy. My friend and brother deacon, Greg Kandra, did something similar during Advent with an Internet Examination of Conscience; read it here. But first, a bit of fun. 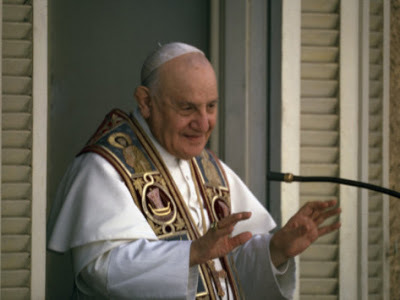 As I have made clear here and elsewhere, I have a profound admiration for Pope St. John XXIII. Mike posted a picture of Pope Francis as part of his blog post; is it just me, or is there not a remarkable similarity between Francis and John (in more ways than one)? Joy, as I pointed out in an earlier reflection on the Exhortation, is “the infallible sign of God’s presence” (to quote Teilhard). If we truly believe the Truth of the Gospel, we should be filled with Joy and gratitude at the very core of our being! There should be no such thing as a “sourpuss” Christian. I resolve to reflect such joy in this blog. I also hope that in the words used and responses to other posts will always be characterized by that joy. I ask that visitors to this site try to do the same. The Pope is so right: We must not only BE joyful; we should all share that joy. We should be the kind of Christian who says, “I’m good; the rest of you are on you are on your own!” That’s one of the goals of this blog. I am proud of our great Tradition, and I become quite frustrated at attempts to restrict the Tradition to one or another theo-political point of view! I resolve to do my best to present the joy of the Gospel from the point of view of the whole of Scripture and Tradition. This will be guaranteed to arouse the ire of extremists on either side of the spectrum, but so be it. More about this later in the list. 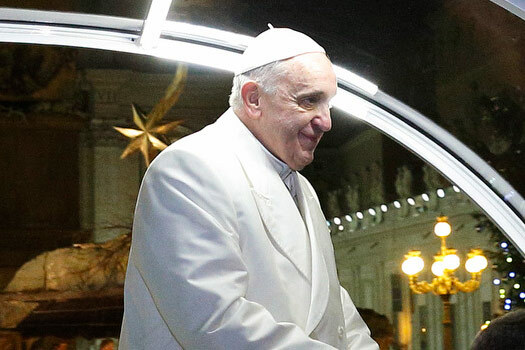 The Pope has always stressed, as have his immediate predecessors, that God excludes no one from his love, and the salvation is open to all who come to God. Perhaps it’s simply our flawed human nature that leads us to want to choose sides, one over and against another. “We’re right and good; you’re wrong and bad.” Another way to think about this is the tendency to have an “us versus them” attitude. Some websites and blogs — even Catholic ones, even Catholic ones hosted by clergy! 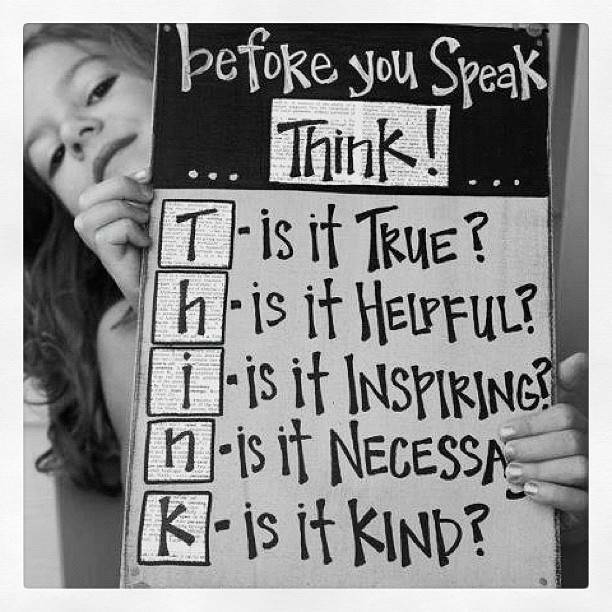 — seem to thrive on exclusionary language, mocking others who may disagree about things. I resolve not to do such things here and invite people who may feel I have crossed such a line to draw my attention to it so I can correct it. OK, as one of my own teachers once opined, “The job of a professor is to profess!” However, all such opining here is, I resolve, designed to serve the common good. Ii hope that this blog can be a service for others, not a platform for bloviating. Words matter; they can heal, they can hurt, they can destroy. I resolve to attempt a level of discourse that reflects healing, peace and harmony. Again, should readers find the language here offensive, please let me know. Extremism is almost always problematic. As the old adage has it, “virtus in media stat”: Virtue stands in the middle. As before, I resolve to avoid extremes and promote balance in all things. There are so many sites in which extremes are promoted in language and attitude; I hope NOT to be one of them. It seems to me that culturally we have lost civility and balance in discourse. When we disagree with someone, there is a tendency to demonize them. I hope that here we can disagree with courtesy and respect. Big “insider baseball” church news was the decision of Pope Francis to eliminate all but the lowest “rank” of Monsignor, and then to restrict even that form to diocesan priests over 65. There have been all kinds of interesting reactions to this news! One one side of the spectrum are those who find the move refreshing and a good first step at eliminating a sense of medieval-ism and careerism within the clergy; on the other, heads are exploding over this smack to the side of the clerical heads of those who found becoming a monsignor an affirmation of their personal and ecclesial worth. One priest-blogger criticized that this decision was not made by the Pope in any kind of consultative manner and that perhaps it would be best for such matters to be dealt with on a local (diocesan) level. Sorry, Father, it couldn’t work that way: “Being a monsignor” was always a PAPAL prerogative; it was his “gift”, although bishops would nominate men for the honor. As the maxim has it, “he who gives, takes away.” Furthermore, the pope DID consult on this decision. He put a months-long moratorium on making any new monsignors, and I think it’s safe to assume he discussed this with his special group of Cardinal-advisors at their recent meeting. This shouldn’t have surprised anyone at all! For those new to this kind of thing, what are we talking about here? Second, a bit of contemporary perspective. As I’ve written about before, I’ve been around church and ministry for my whole life, and was in the seminary myself for high school and college (1963-1971). Even before that time, the majority of the priests I knew in my diocese detested the idea of becoming a Monsignor. On the one hand, we had a great Monsignor in our parish, and we all loved him. He was Monsignor Patrick O’Connor Culleton, ordained in Dublin in 1901, came to our Diocese in Illinois early on, and became pastor at our parish in 1920; he remained pastor there until his death in the late 1950’s. He was the pastor when a young newly-ordained priest named Fulton Sheen came to the parish for his first assignment. Sheen always said that the Monsignor was the holiest priest he’d ever known. But the younger priests — most of them anyway — wanted nothing to do with this kind of honorific, claiming that it was a relic of a time gone by that had no relevance whatsoever in the Church serving in the modern world. It made no difference at all when one was marching for civil rights, or visiting people in an inner city slum. In short, monsignori were seen as belonging to a different era in the life of the church. The bishops at the Second Vatican Council agreed. They were dead set against retaining structures and processes that no longer served any practical, pastoral use in the life of the church, and they directed the Holy Father to streamline things. Pope Paul VI took this task on, and in 1972, the whole sacrament of Holy Orders was restructured, eliminating in the Latin Church the Rite of First Tonsure, the four minor orders and the major order of the Subdiaconate. The diaconate was now to be exercised permanently and could be opened to both celibate and married men. 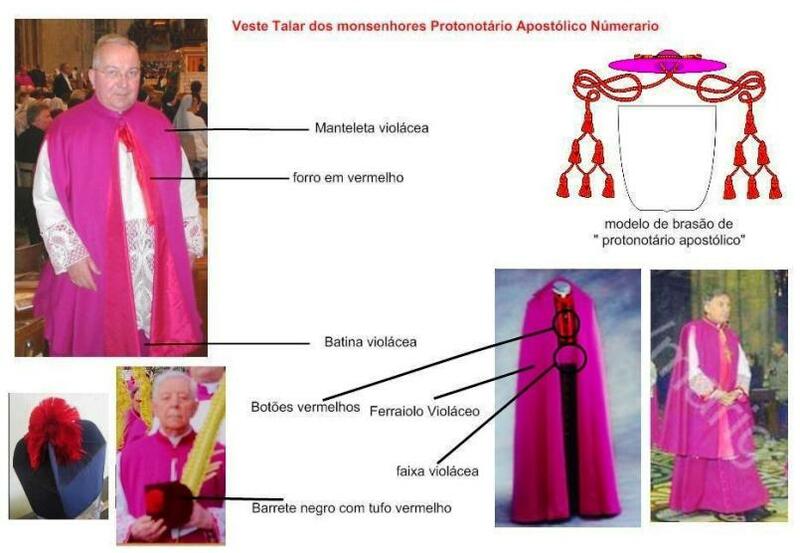 The same pope also reduced the number of “classes” or “ranks” of monsignori. No one really knows just how many classes there were! Some sources tally fifteen different classes of monsignor, others have twelve or thirteen. Pope Paul reduced them to three only. Now, Pope Francis has reduced this list to one, and then only for diocesan priests over the age of 65. 1) On a practical level, absolutely none. A priest is a priest is a priest. That’s always been the case, sacramentally. This doesn’t change that. 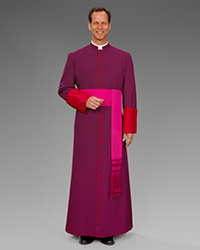 The best news is that priests don’t have to go out and buy all the fancy rig that was associated with being a monsignor. 2) For those men who actually wanted to be monsignori (and, at least in my humble experience, that’s been thankfully a very small number! ), it will mean that they can now refocus their efforts on being the best priests they can be without waiting for a title or new clothes. 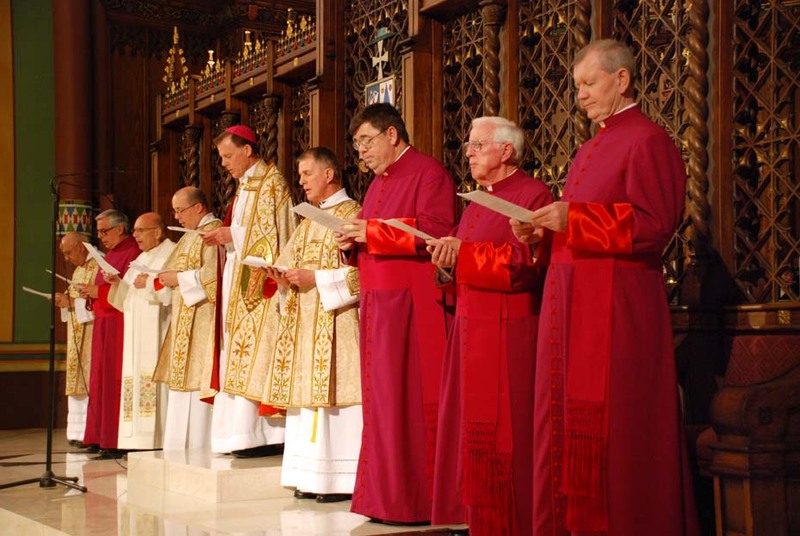 In honor of their non-selection as monsignori, perhaps these men could join their deacons and lay folks in paying an extra visit to a homeless shelter or in lobbying for a change in unjust laws or for immigration reform. I’m not saying that these men are not doing good things already; but if they’re not going to have to worry about being a monsignor, they’ll be free to focus on other things. Like getting the smell of the sheep on their clothes. 3) There IS a negative side to this. Our good priests DO deserve some kind of recognition and support for their ministry; all people who serve do! We do need to support our priests and acknowledge their service and commitment. Some bishops, out of a lack of any other ideas, thought that at least by getting the pope to name a priest a monsignor, this could be a small way of doing that. But here’s a chance for some grass-roots creativity and initiative! Being a monsignor was no way to recognize anyone, and in some men it just created more difficulties that it was worth. What CAN we do, in a positive way, to acknowledge someone’s service? 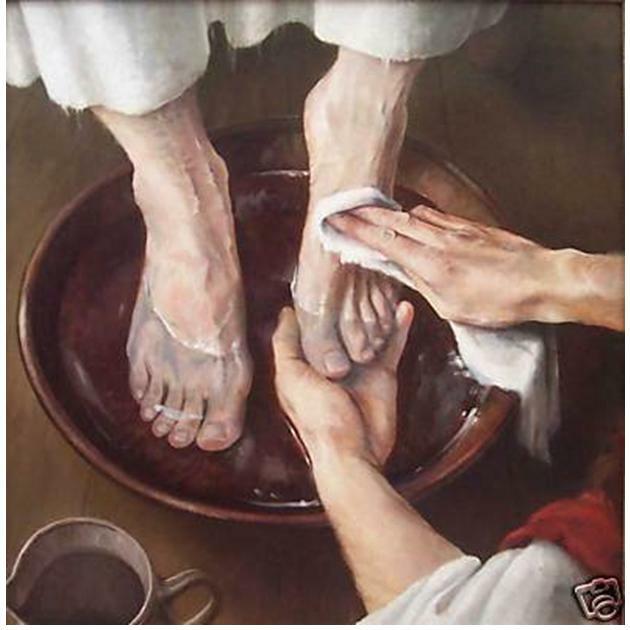 No one who serves AS CHRIST SERVED needs or wants recognition. The only human recognition Christ got was to be nailed to a cross, after all. Still, as human beings, it’s nice to know when something we’ve done has been effective. What can we do, what can YOU do, to show appreciation to ALL who serve in the name of Christ and in the name of the Church? As I continue to follow the various blog responses to this issue, I was struck by something. It seems to me, anecdotally and not based on any scientific analysis, that most of the folks OBJECTING to the loss of new monsignors are people who are converts to Catholicism. By and large, so-called “cradle Catholics” like myself are all in favor of it; those who have come later to the Church seem to be suffering the loss. File in the “interesting, for what it’s worth” categories.